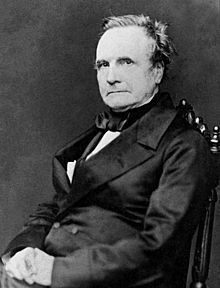 Charles Babbage (26 December 1791 – 18 October 1871) was an English mathematician, philosopher, inventor and mechanical engineer who developed the concept of a programmable computer. Babbage was born in London, England in 1791. As a child, he had a variety of tutors and schools and developed a love of mathematics. In 1810, he was accepted to Trinity College, Cambridge. He later transferred to Peterhouse, Cambridge where he received an honorary degree in mathematics. At Cambridge, he was dissappointed by the quality of the maths teaching, but joined the Analytical Society – a group of like minded students, interested in exploring issues of mathematics. It was as a student that he conceived of an idea to try and do calculations with a machine. It was after looking at a table for logarithms, (many of which were wrong) that he thought it would be better to try and work them out systematically. – Charles Babbage (1821) on seeing errors in maths tables. (computers here means people who do computations) Quoted in Harry Wilmot Buxton and Anthony Hyman (1988), Memoir of the Life and Labours of the Late Charles Babbage. In 1822, he began working on his ‘difference engine’ that sought to mechanically compute calculations. Like many of Babbage’s machines, they were never brought to completion. This was partly because of his personality, and also because his funding often dried up. He wasn’t always the best communicator of his ideas, and he could be dismissive of the very people who were funding him. There was often a frosty relationship between Babbage and those he was trying to impress. Nevertheless, a difference engine was later built in 1991 to Babbage’s specifications and it was proved to work. A printer designed by Babbage was later built too. 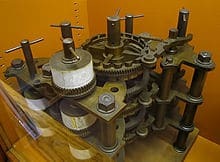 Although Babbage’s machines were mechanical, they had some similarities to modern-day computers. They had separated memory, I/O units, and the control unit could make progressive jumps. Babbage was also aided by an assistant Ada Lovelace (the daughter of Lord Byron) Lovelace was gifted in mathematics and worked on the programming aspect of Babbage’s computer. In 1824, Babbage won the Gold Medal of the Royal Astronomical Society. “for his invention of an engine for calculating mathematical and astronomical tables”. However, he generally disliked honours, and he refused a knighthood and baronetcy. After graduation, he worked as a maths lecturer at Cambridge. He was also employed by the government to build a programmable computer. He received substantial funding, but eventually, the government despaired of seeing a finished product and withdrew funding. Many of his nearly finished models were melted down for scrap, but he is seen as a very important inventor, for showing the possibilities available to mechanical computing. He is now considered to be the “Father of Computers”. Babbage definitely had some foresight that computers could radically change the way calculations were done. An optimism not always shared by other people of his generation. Apart from computers, he contributed other inventions – such as a pilot or ‘cow catcher’ to be put on the front of engines to catch obstacles on railways. These were widely used in America. At various times, he worked for Brunel’s Great Western Railways. Babbage married Georgiana Whitmore in 1814. The couple had eight children, of which only four survived childhood. Babbage died in 1871 at the age of 79. Citation: Pettinger, Tejvan. 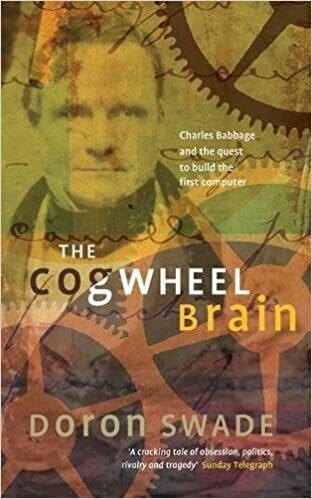 “Biography of Charles Babbage”, Oxford, UK. www.biographyonline.net 13th May 2012. Last updated 1 March 2018. Famous Inventors – Famous inventors including Cai Lun, Leonardo da Vinci, Galileo, Thomas Edison, Nikola Tesla, Sir Isaac Newton, James Watt and Samuel Morse.